The worn patina and subtle colors and textures of Reclaimed Cobblestones speak of a rich, timeless history. Whether harvested directly from an old street or town in America, to a quaint village in Europe, these cobblestones have a story to tell; a history to be discovered and preserved. The size and shape of Reclaimed Cobblestone Pavers are instrumental in determining the design or layout. For example, achieving the classic running bond pattern is easier with rectangles, while squares and cubes offer more flexibility in design and are more suited for fan type patterns. Thickness is primarily determined by both the installation method and type of use. A Full Bed cobble might be more suited to a dry-laid motor court, whereas a Sliced cobble might be the perfect fit for a walkway set in a mortar bed. They type of stone determines the color of Reclaimed Cobblestones. The effects of wear and tear enhance the overall look by adding new color tones over time, adding that magical patina that makes this material so unique. Colors range from classic New England earthy salt and pepper to the deep blues, reds and greens of Belgian Porphyry. Typically sourced throughout the Northeast, these cobbles are named after our first reclamation that came from the old streets of Boston. We still harvest in this area today. Often quarried from multiple locations, this material offers a unique range of color, from weathered grays to tan with underlying earth tones. This warm patina, combined with a worn, smooth texture that only time can develop, provide a look not found with new materials. 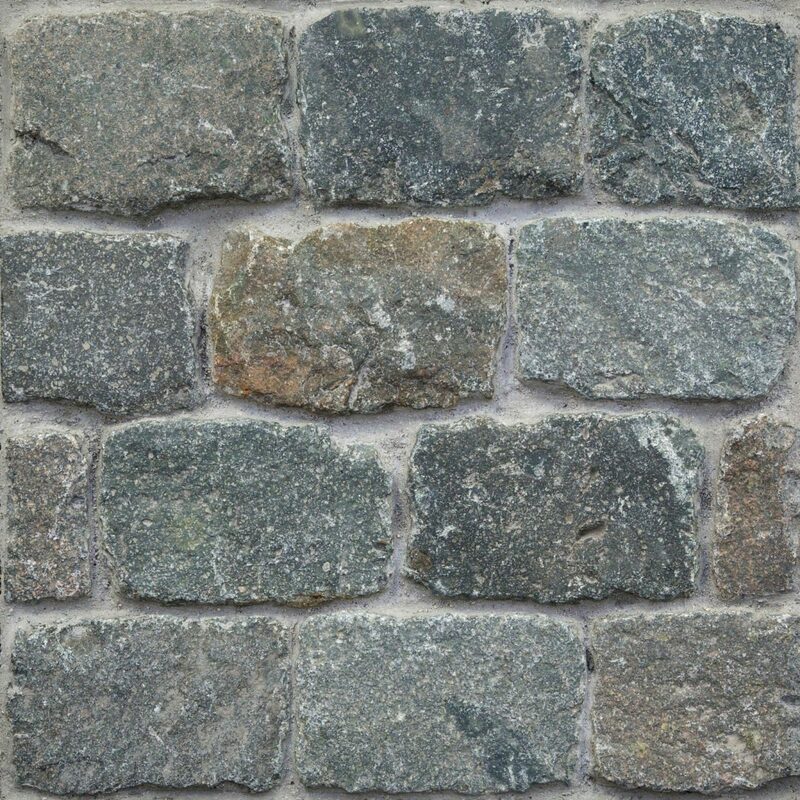 Medium - 4" x 6" x7-10"
Jumbo - 4" x 6" x12"
Belgian Sandstone is a very hard and resistant sandstone cobble quarried in the 18th, 19th and 20th centuries in the Walloon region of Belgium. 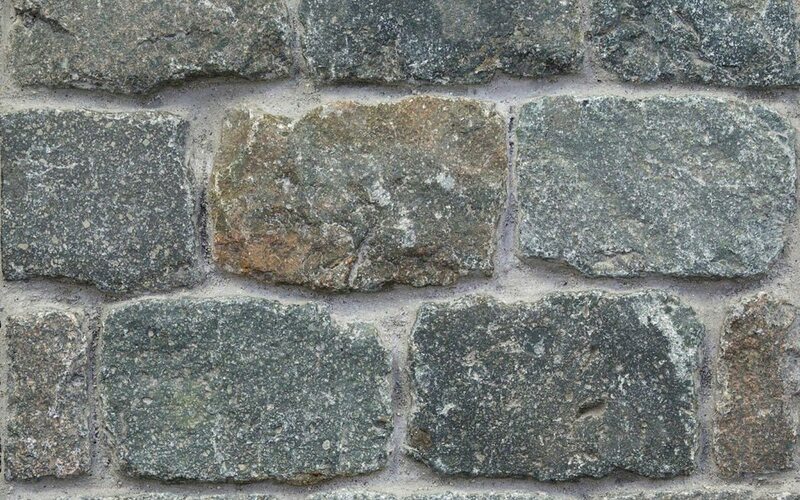 This cobblestone offers a generally smooth and well-worn top face. Colors vary from brown over grey to earthy green as well as lavender. Colors in cobblestones contained within a specific batch offer similar characteristics. 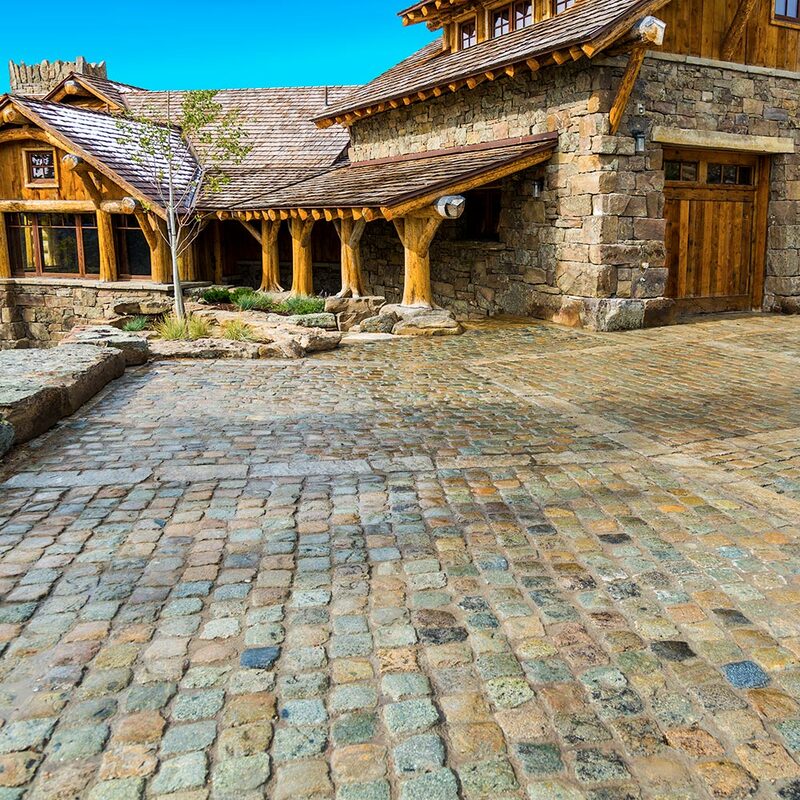 Now that you can see the different types of reclaimed cobblestones that you can choose from, visit our Project Area section to see how this material is applied in recent designs. 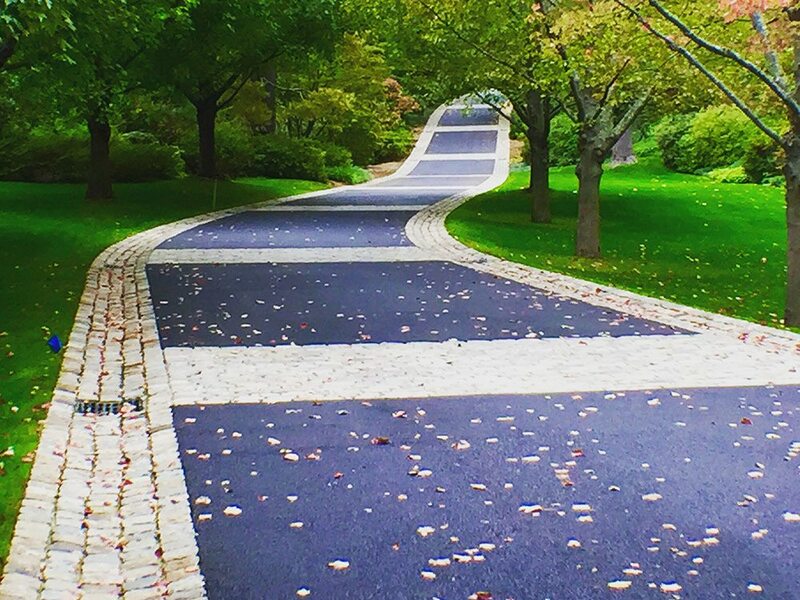 From stone driveway pavers to driveway aprons, reclaimed cobblestones make a big statement. Check out current projects in our PROJECT AREAS section.